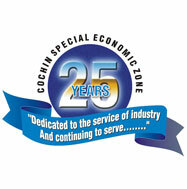 Rules, regulations, instructions, manuals and records held by CSEZ or under its control or used by CSEZ employees for discharging its functions. 2. Foreign Trade Policy & Handbook of Procedures 2004-2009 under Foreign Trade (Development & Regulation) Act, 1992. 3. Public Premises (Eviction of Unauthorized Occupants) Act, 1971. 4. Government of India Rules, Regulations and instructions issued by various Ministries/Departments and all other relevant Acts and Rules.